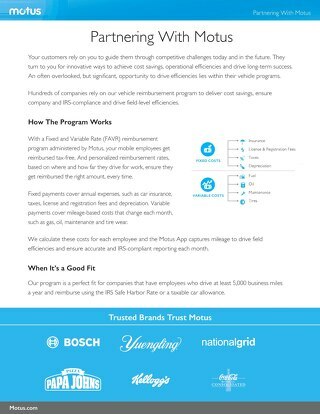 Staying competitive in the retail market requires, among other things, peak efficiency. 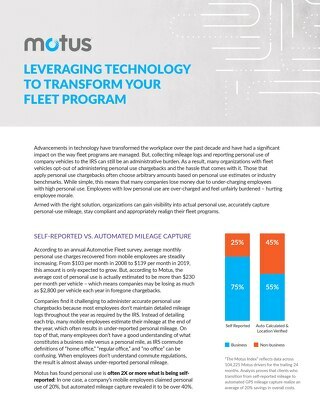 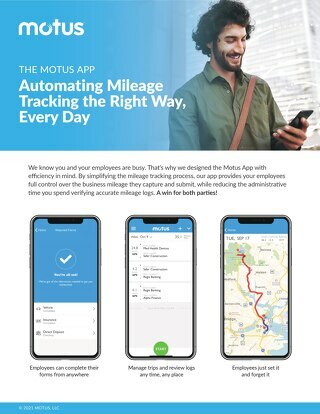 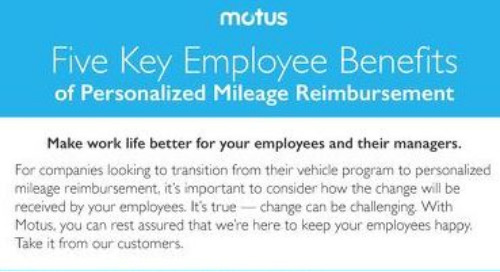 Many retail companies have discovered the advantage of a personalized mileage reimbursement program for both their business and their employees. 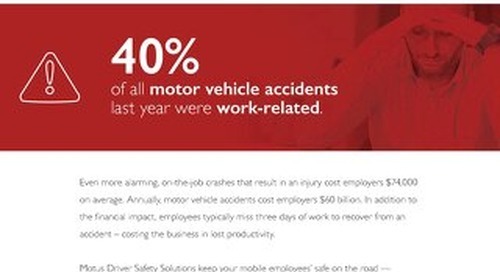 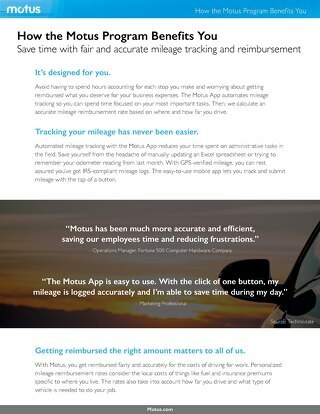 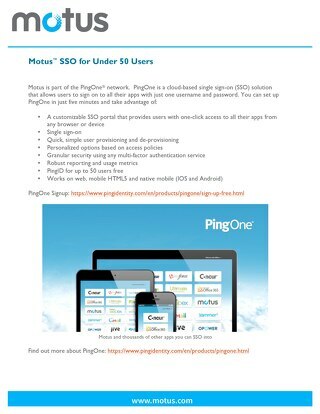 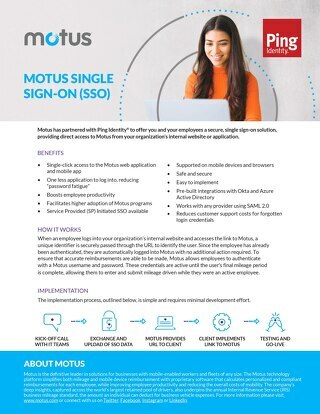 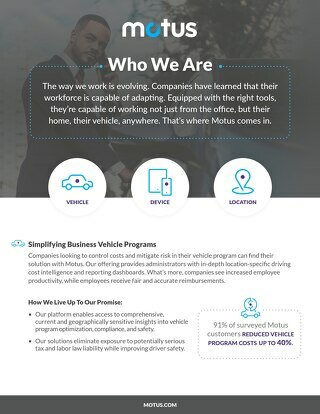 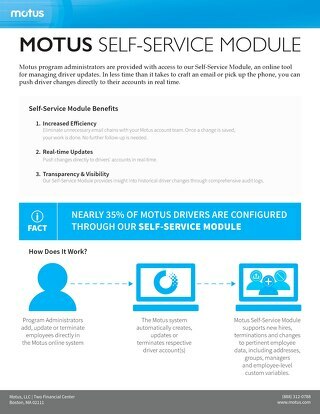 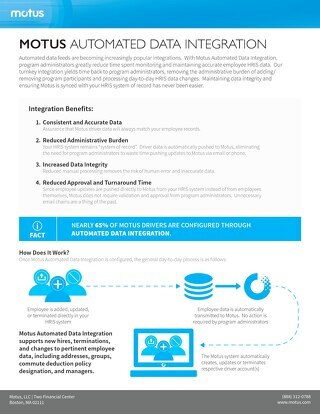 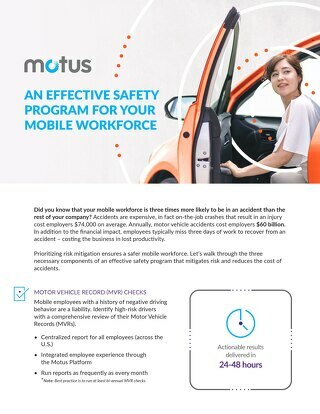 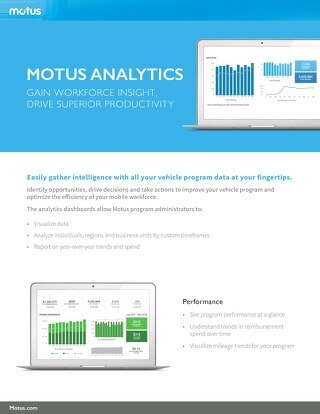 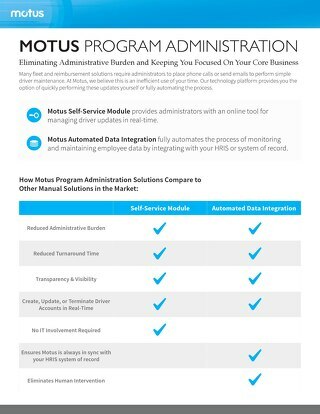 Find out how they benefited from partnering with Motus in this one-pager.